Santa Ana is a fine leafed warm season couch grass that thrives on sun and heat. It is tough and durable and looks best when mown short. If grown in full sun is extremely hard wearing and will tolerate considerable traffic. It is perfect for hot north facing situations. Santa Ana is a medium vigour creeping perennial with above ground runners that can be maintained in a given area by bordering. Santa Ana has a bright green leaf colour and good colour retention giving it a superior appearance. 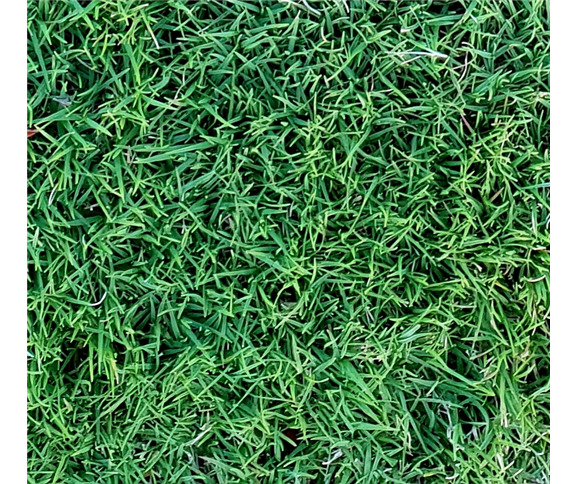 Santa Ana is suitable for residential and commercial lawns where a soft formal appearance is required. Santa Ana is used for high wearing areas such as golf courses, tennis courts, cricket wickets and bowling greens where close mowing is required. Parks and gardens, sports ovals, soil stabilisation areas, roadsides and urban in-fill areas are other areas where Santa Ana can be used. Santa Ana should ideally be mown every 7-14 days at a height of approx 20mm. Closer mowing will produce putting green appearance. In spring your Santa Ana lawn (as with any lawn) should be mown very low and fertilised. This removes the thatch that has built up in your lawn and allows new stolon growth. Has a short dormancy period in NSW over winter (depending upon frost frequency).